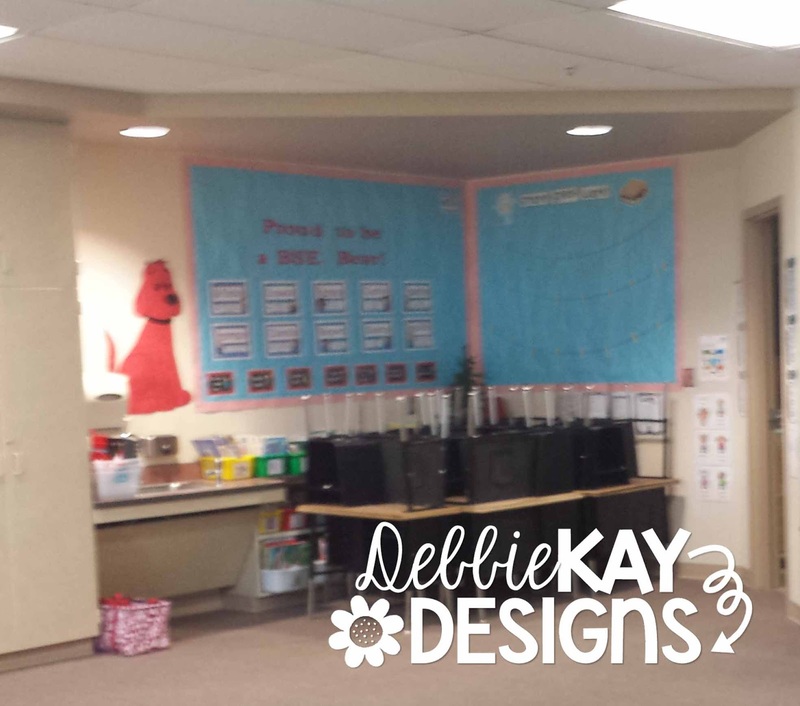 debbie kay designs: Bulletin Board Progress... and a Fail! This week I've been working on putting up new bulletin boards in my classroom. I'm fortunate that our school does not require us to take them down at the end of the year; however, I've had the same paper & borders up for 4 years, so I am ready for a change! I have 2 adjacent boards just as you come into my room. I've never really done too much with them... I can't really use them for anchor activities or teaching because they aren't in our teaching area. So, I've mostly used them to display classroom rules and sometimes student work. 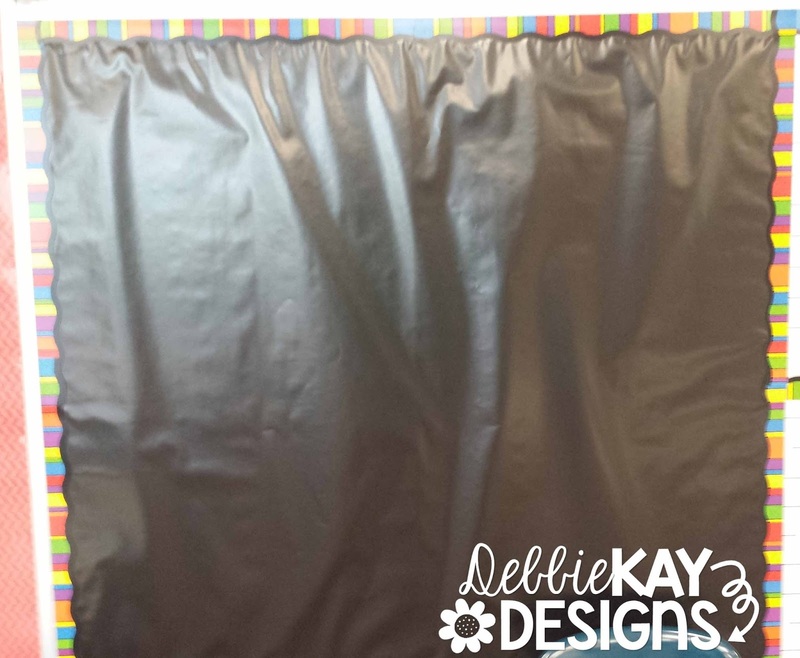 I replaced it with black paper and red herringbone patterned border. I also layered a green polka dot border at the top. So, at this point, it looked better but, what to DO with it? I've been seeing some super-cute student work boards on Pinterest and Instagram, so I decided to go with that. I picked out 4 bright colors that went with the color scheme in my room and... voila! I hot glued miniature clothespins to the top center of each piece of card stock. This will allow me to easily change out student work. 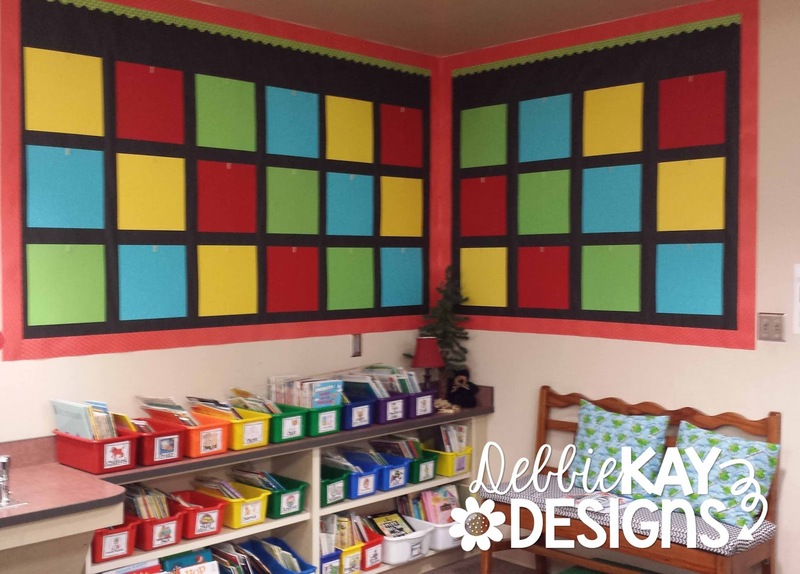 I usually have 23-26 students each year, but I went ahead and put up 30 pieces of card stock. I plan to put up some fun quotes in the extra spaces. I'll post a picture soon of those! Okay. Now on to an epic FAIL! 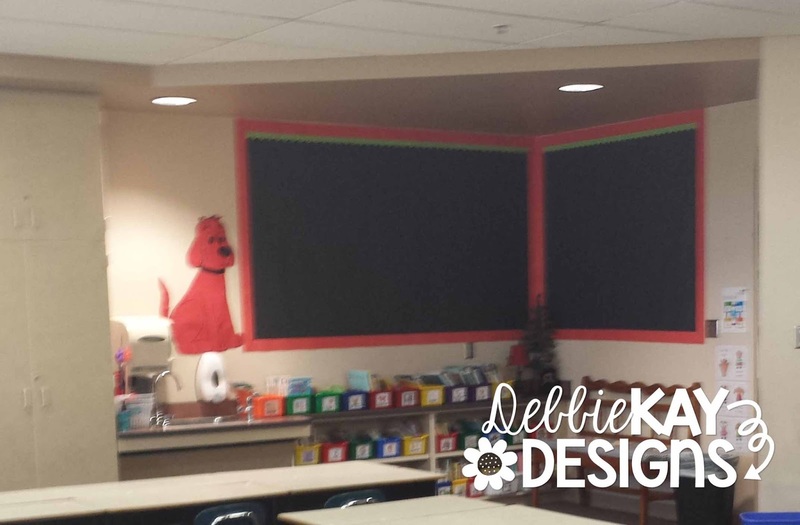 Hopefully admitting my mistake will help some other teacher out there save some time & money! I picked up some fadeless paper at our local teacher supply store in black. What I didn't notice, until I was back in my classroom ready to hang it, was that I accidentally got GLOSSY paper, instead of regular paper. Sigh. I went ahead and hung it up, hoping for the best. By the way, the boards I am using this on aren't actual bulletin boards. They are white boards. 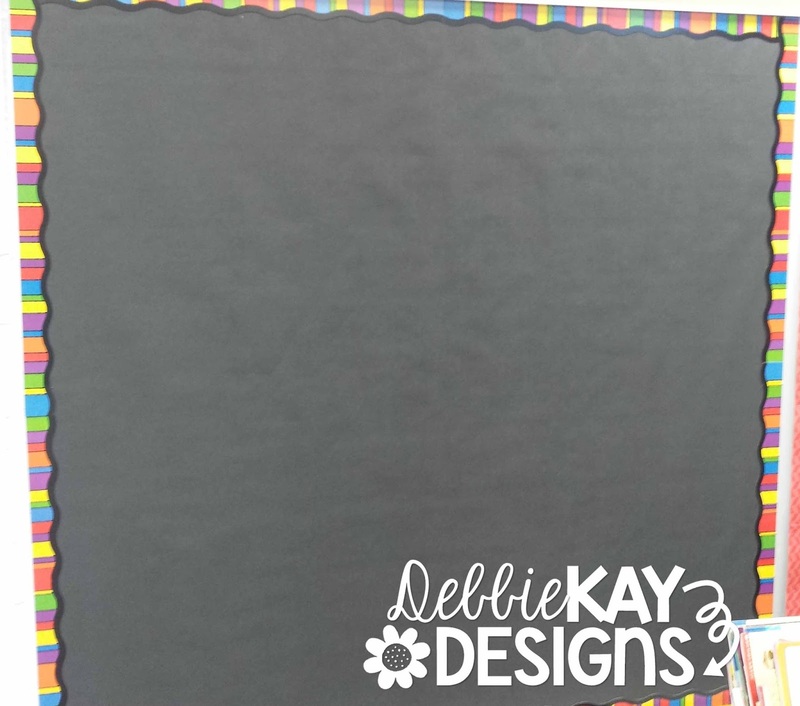 I have a huge amount of white board space in my room, but need more bulletin board space, so I usually hang paper up and use magnetic borders. Long story short, when I came back in the next day, the paper had bubbled horribly. I was already not loving the glossiness of it, and now THIS. Worse yet, it wasn't just 1 board... I actually have 3 boards, just like this, with the horrible, glossy, bubble thing going on. Ughhhhh!!!!! 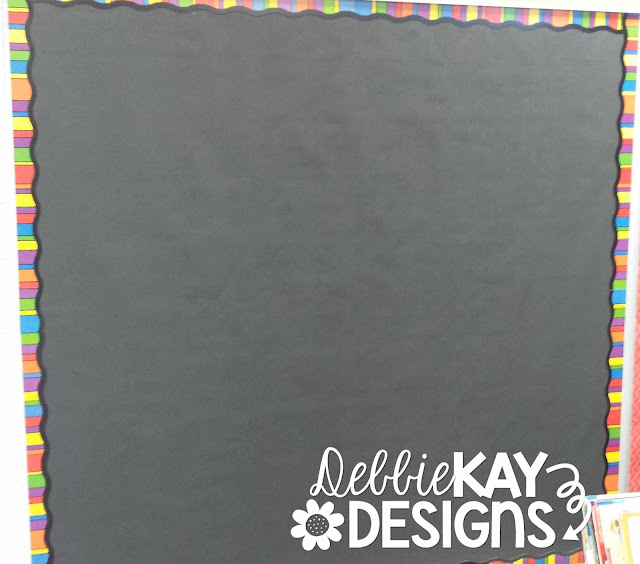 I wonder if it's because I'm covering white boards and not a regular bulletin board... maybe the sleekness made it bubble? I don't know. You can bet I ripped that right down and went back to the teacher store for regular black! Ahhhhh!